An incredible discovery that was recently made in Russia threatens to shatter conventional theories about the history of the planet. On Mount Shoria in southern Siberia, researchers have found an absolutely massive wall of granite stones. 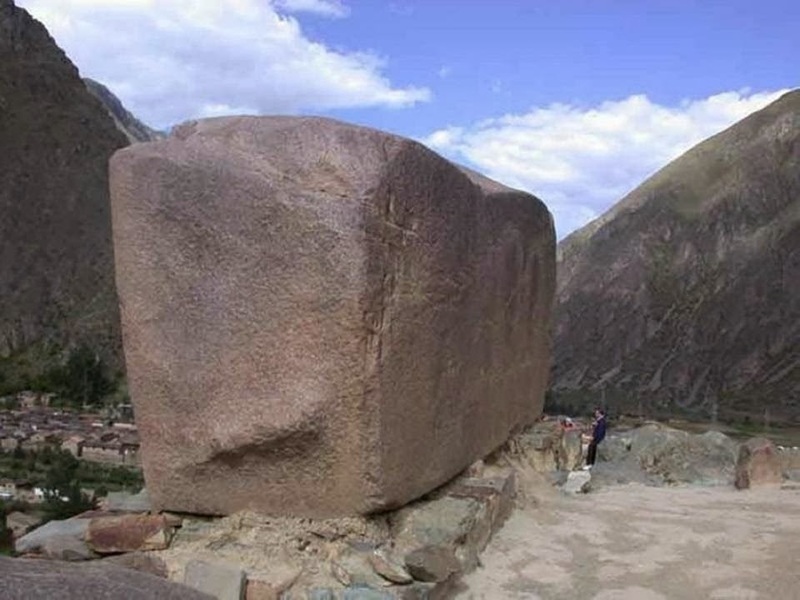 Some of these gigantic granite stones are estimated to weigh more than 3,000 tons, many of them were cut “with flat surfaces, right angles, and sharp corners”. Nothing of this magnitude has ever been discovered before. The largest stone found at the megalithic ruins (stone of the pregnant woman) at Baalbek, Lebanon is less than 1,500 tons. So how in the world did someone cut 3,000 ton granite stones with extreme precision, transport them up the side of a mountain and stack them 40 meters high? According to the commonly accepted version of history, it would be impossible for ancient humans with very limited technology to accomplish such a thing. Could it be possible that there is much more to the history of this planet than we are being taught? The compasses of the geologists behaved very strangely, for some unknown reason their arrows were deviating from the megaliths. What could this mean? All that was clear was that they came across an inexplicable phenomenon of the negative geomagnetic field. Could this be a remnant of ancient antigravity technologies? Those who built them could have had technologies that we do not know of today. It still remains unclear why the walls were erected and how their builders managed to lift the blocks at the height of more than 1000 meters. Where to stay in the Cedars for the holidays?